The only thing that stuck out from my original invite brain storming session was the idea to bleach the invitation paper. I just loved the look and couldn't live without it. Of course this meant I got immensely high (on bleach y'all!). I got together with my mom, and a friend of hers who's a distributor for Stampin' Up (I totally used her for her stamp collection. I'm evil.) and went to town! This works better on dark colors, and with thick card stock. Experiment with individual pieces beforehand to make sure you like the look. The brand/weight/dye of the paper will all effect the outcome. So the process is immensely complicated (she said sarcastically). Read carefully and proceed with caution. Layer a plastic container (disposable Gladware works great) with several layers of paper towel. I did three sheets folded in quarters. Saturate the towel with bleach (I used splash-less because it was thicker). The more saturated the towels are, the messier and bolder the imprint will be. I happened to like this look as I think it makes it look more worn and "vintagey". Layout your pocket fold envelope with the outside facing up. If you're using a rolling stamp, roll it several times for full coverage in the bleach, then roll over the pocket fold. If you're using a standard stamp, just treat it like a regular 'ole stamp pad. Use a combination of stamps or the same stamp in a haphazard pattern to achieve the look you want. Put aside and let oxidize. It can take up to 10 minutes to see the full effect. Set them aside to dry. Do NOT let them overlap or you get something nasty lookin'. We also bleach-stamped a corner of the envelopes to make sure the design looked cohesive. Now, on to bleach-spraying the inside of the invitations and the envelopes (envelopes are optional but make the look complete). Fill a travel sized spray bottle with bleach, hold it 1-2 feet away and spray. DO NOT OVER DO IT! You will be soooooo tempted, you're going to think "Ugh, that's not enough, just a little more". That is a mistake. With a spray it takes longer to fully oxidize, and if you spray too much you're going to end up with something fugly. Let's design the invite! The actual invite portion consists of four parts. The card stock backing, the vellum the text was printed on, the info card, and the tickets. (The tickets were very confusing to my mother as she was terrified that people would forget them and not be allowed into the wedding.) The PSD document (for both the tickets and the invites) have been included to help out, but you might have to adjust for your printer settings, page size, etc. It's set up for 6 1/4 " square cards, with 2 to a page. Choose your image for the card stock backing. Since we were doing a vintage rustic sort of thing I did a tree. You can obviously tweak this for whatever you're doing. Use a darker color so it can be seen through the vellum that will be over it. Basically, you just print it out and cut to size. This is the easy part. Keep in mind that everyone's printers are different so you're going to have to mess around with your settings to get it right. Also keep in mind that if you have a colored card stock, everything that is white on the computer will show up the card stock color. The vellum is a two stage process. First, choose your full background. You can use the damask design already on the PSD file that is pretty simple and looks nice, or choose your own design! Print it the design onto the vellum but don't cut it, because we have to print the text. Once the text is set up, put the vellum in the printer and print your text. (If you want a more subtle effect, print on the side that DOESN'T have the damask on it, because it'll make it look more muted. Try one both ways and see which you like better.) 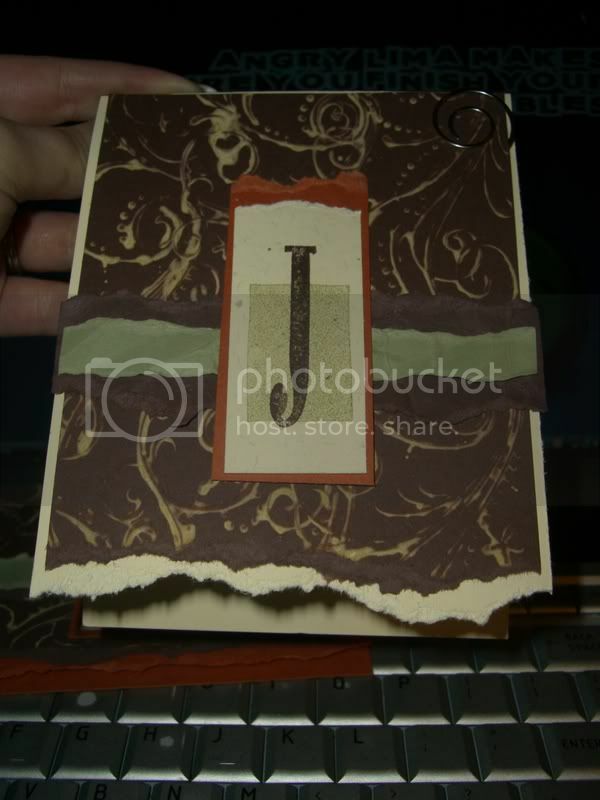 Once printed, cut the vellum ¼" smaller on all sides than the card stock. For the tickets, just swap out your info for mine, print and cut. I hate to be so vague, but they're incredibly customizable. Just make sure they fit appropriately in your folded invite! Optional step: You can print an info card like mine. Use leftover card stock and design it with all the pertinent info including map, RSVP cards etc. Now print and cut as before. Let's put those bad boys together! My suggestion is to collate the vellum and card stock ahead of time to make life easier. Center and line the card stock and the vellum up on the flat part of the pocket fold. Using a hole punch, put two holes in the top, then insert grommets and set them. We used a Crop-o-dile which punches holes AND sets grommets, YAY for multitasking! Tuck info card and tickets (or maps or RSVP cards or what have you) into the pocket. Wrap invite with ribbon and thread bird tag (see bird tag instructions link below) through it. Tie with a big foofy bow (I also considered using twine or hemp for this but couldn't find one I liked). TA DAHHHH Your invites are all done and GORG-E-MOUS! And your house smells clean! Ang lives a life of semi-organized chaos with her new husband (Tee Hee) and their three slobbery hairy dog-children. I've never seen this technique before- I totally wanna try it! I want to go try this with a bleach pen. Just to see what it looks like. Ironically, the first time I bleached paper it was with the bleach from a bleach pen. The look is a lot different, the bleach is stronger and thicker so it actually will add a lot of texture, and even crack the paper. This is the starting point for our invites. As you can see the bleaching process is the only part I kept LOL. I am really interested to see what this looks like. I'm very intrigued as to what the texture will look like. I will have to find some paper and a bleach pen. If you look at the bottom of the comment I posted a link. The pic isn't that great but you can see that the texture is much more dimensional than with the standard bleach. These are so insanely awesome! What a fantastic idea and tutorial! Thanks, Ang! Holycrap…Zzzooowmigosh….Muuuust have!!! The complete look makes me wish I were far more crafty. How much did this project cost you? Could it be potentially budget friendly? This is such a cool idea! And a lot easier and more professional-looking than just ink. Thanks, Ang! I tried this but the bleach kept "bleeding" for minutes and in the end the design I was using was blurred and all I had was a mess. I tried using less bleach, more bleach, thicker bleach, but maybe the paper is too absorbent? It's the regular envelope type (at least here in Spain), so… any ideas? Hmm the paper shouldn't be bleeding? The only thing I can think of is if you used too much, and I would suggest putting bleach in a spray bottle, and mist the bottom of the stamp once, and that should be the exact amount. Another thing could be the kind of paper (It's why you should try on a small scale before hand, you never know how the paper will react). It sounds like maybe the paper is very thin or the fibers are loose? We did bleach the envelopes, and it definitely wasn't as crisp or clear. I'll try spraying the bleach or finding a different kind of envelope, because I love how yours turned out! Thanks for the tip! I did this! I saw this post on the OBBT several months ago and loved it! I followed all the instructions and it came out great! I wrote an update on OBBT with this, too. I used a sage-green pocket fold and stamped it with a huge swirly flourishy vine (also Stampin Up — Baroque Motifs stamp set) in several places on the pocket fold. The bleached-out color wasn't white either, but a sort of yellow-green-white that is just awesome. It came out so cool — rustic, vintagey, not perfect, definitely hand-made which is what I was going for. I then stamped the same image in a green ink on the actual invite that's on ivory paper. My friend and I made 100 and out of that we probably had 3 or 4 that got too wet with the bleach and bled, and then another 3 or 4 that we didnt' have enough bleach and it didn't work well. We figured, 10 percent mistake is a good thing! Thank you so much for this technique! I'd love to see them! 🙂 We had a bunch of failures, most of them due to me being impatient (oops…), but some of them actually came out pretty cool! Hi! If you're still about, do you have any images of your invitations? I tried looking for your update but couldn't find it. We're trying this with the same colour scheme, and I also wanted to stamp the image on the ivory paper with green paint as well, so I'd love to see how yours came out. Thanks!! I tried this with color-safe bleach, on black paper. It actually made the places where I "bleached" more darker and is an awesome twist to this idea!!! I would LOVE to see pics of this! Absolutely love these invitations!! I have an abundance of metallic scrap paper I'm going to have to try this on, Hopefully the metallic coating allows for the same natural texture. i thought this was an amazing idea and wanted to follow it for bridal shower invitations. i have bought several different papers and tried it, and am having NO success with the bleach fading the paper. i used a thicker type paper as you suggested, but the bleach (and i used the splash-less like you suggested) just does not penetrate the paper enough to change the color. it did work on the thinner paper of the envelope. any other suggestions? i'm running out of time and would like to make it work! Hmm is there some sort of coating on the paper? Some card stocks have a sort of protection coating that makes it hard for the bleach to go through. Are they all the same brand? If you spray bleach directly on the paper does it have any effect? i haven't tried spraying directly as i wanted the stamped pattern. they are not all the same brands. i guess they must be coated. i have looked at multiple places for different papers, and am having no luck. even tried art paper (sold for artists that use pastels, etc). not sure where else to look for a paper that would absorb it. any suggestions of brands/where to look? The spray is to see if the paper isn't taking bleach at all, or if its something in the application process. The paper I used here (http://media.offbeatbride.com/wp-content/blogs.dir/6/files/2010/04/IMG_1754_Medium.jpg) was in a multi pack at AC Moore, American Crafts brand. i'll try to spray it and see what happens. your paper's texture looks very much like the first paper i bought at michaels. thanks. How much was postage on each of these? A friend said she'd design our invites, but now that she's preggers and moving house I may give this a whirl…. Has anyone done this using purple card? I would love to see the results! I'm trying to do this, but the vellum keeps curling up in the inside. Is there a trick to making it lay flat? Unless I missed something and I'm supposed to attach it with some form of adhesive? I didn't think that would be good, since you'd be able to see the glue through the vellum. Help?